Our ink cartridges are Remanufactured. 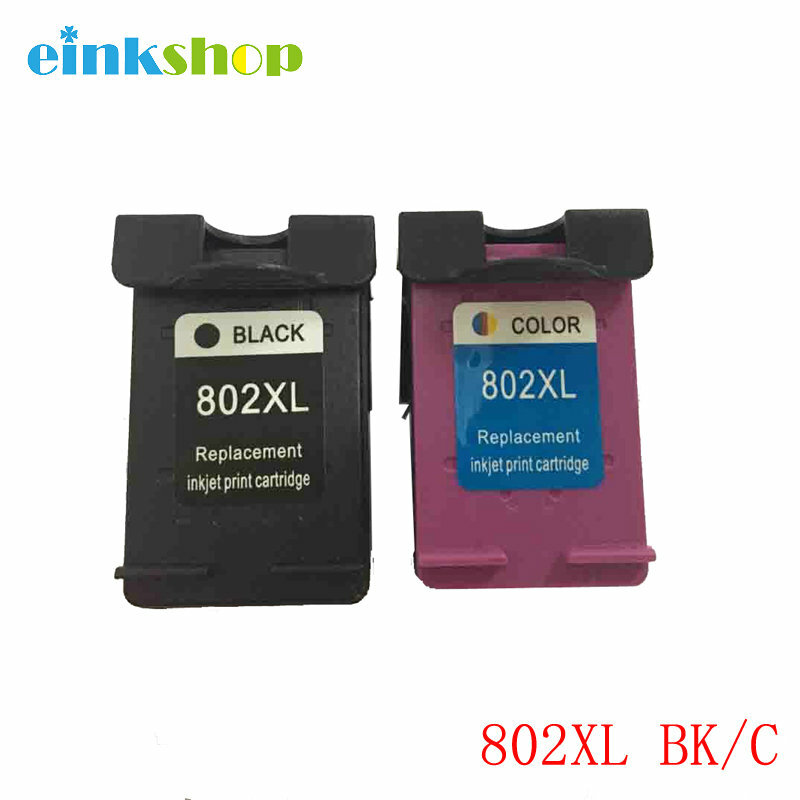 If the ink cartridge used in your printer is 802(or 802xl ) ink cartridge, our ink cartridge will be compatible with your printer. The printer is showing "Low ink level"/ "Empty" /“Red X” / "! "(yellow Exclamation mark), what to do? 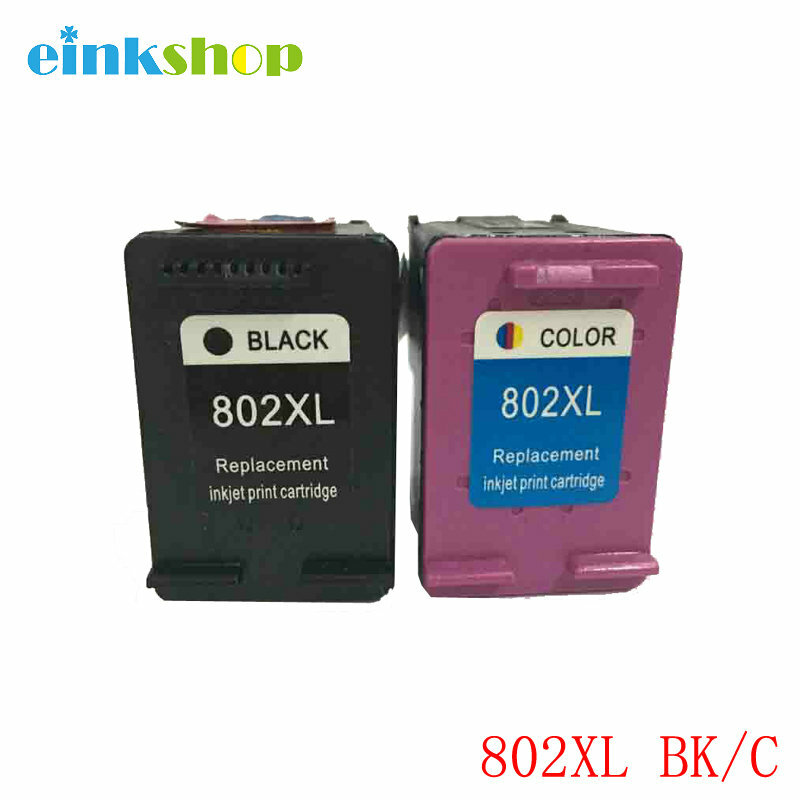 It\'s Normal condition for all re-manufactured ink cartridges that show such information. When you see such information, please Ignore it and Click "OK" or "Close" to continue to print. For some printer, you can also Press and Hold on the STOP / RESET BUTTON (red inverted triangle button) for 5-10 seconds, the message window will disappear. Question 2 Printer showing "failure / damaged / error / problem...", what to do? Step 1: Remove the ink cartridge and re-install. If issue still exist, go ahead the setp 2.
then re-install the ink cartridge and restart the printer.If issue still exist, go ahead the setp 3. Question 3.Flashing yellow light, what to do? Turn off the printer, unplug the printer, wait for a while, and then re-start the printer. If the flashing disappear, press "OK", then you can print normally. If still flashing, Press and Hold on the STOP / RESET BUTTON (red inverted triangle button) for at least 5 seconds, then release. Repeat 2-3 times until the falshing disappear. Then wait 10-15 seconds, It will be fine. If your printer hasn\'t "stop/reset button", you can try to ignore the flashing and press "OK" to continue to print, see if it will work.